Something that was first reported years ago is the government’s ability to listen in on your phone while it is off. Now it’s being discussed again as the FBI has the ability to do so and has been using it routinely to capture audio from suspects in organized crime and terrorism. 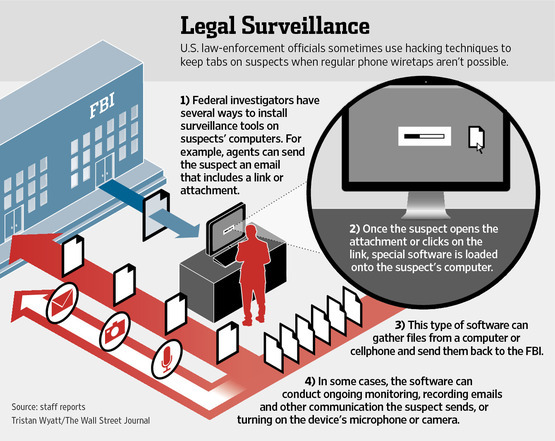 The ability for the FBI to go dark has been carried out on Android cellular phones, (and likely other Android devices that have embedded microphones) and laptops that have built in microphones. Something worth noting is that some of these capabilities are off the shelf products, and others were custom creations.